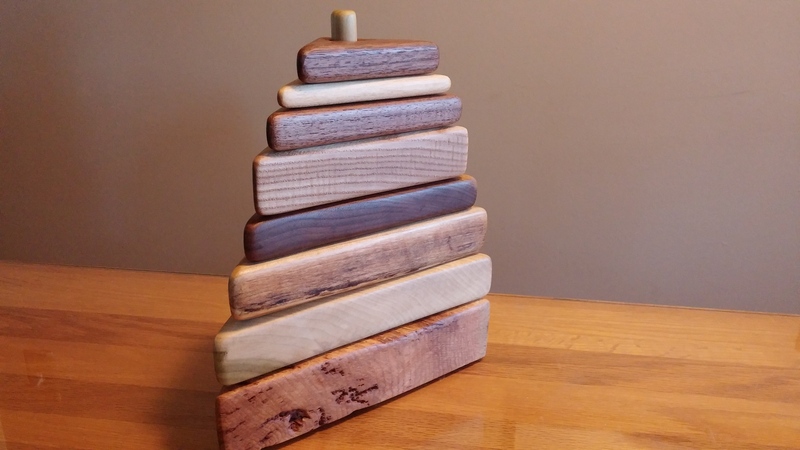 Toys and puzzles shown here are a few examples of the other toys available from Heartwood. I usually use cut-offs from the rocking horses to make whatever comes to mind, and the wood is always reclaimed or recycled. Finishes are non-toxic and natural, just like the horses. If you see something here you like, I can replicated it pretty closely, though each item is one of a kind. If you have your own ideas let me know! Contact me about ordering, final cost and shipping. I can make any name or word in a box puzzle. I like to paint the word on the inside of the box. Also shown is a cube puzzle. Box is about 2″ tall and various lengths and widths. Cube is about 3″ x 3″. 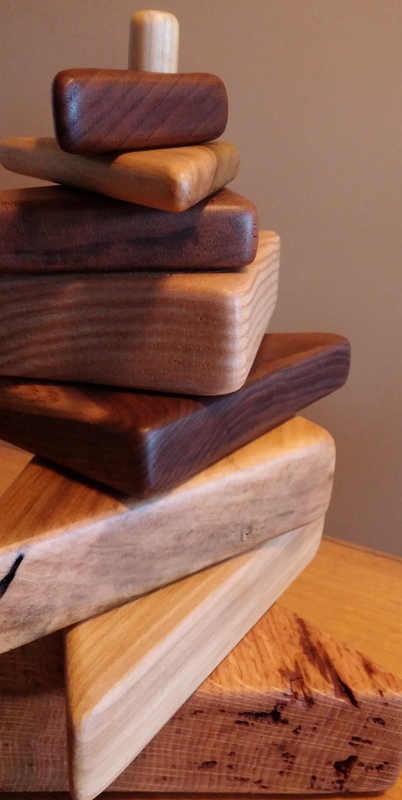 This tower of smooth, stackable triangles is made from the scraps of the rocking horses. 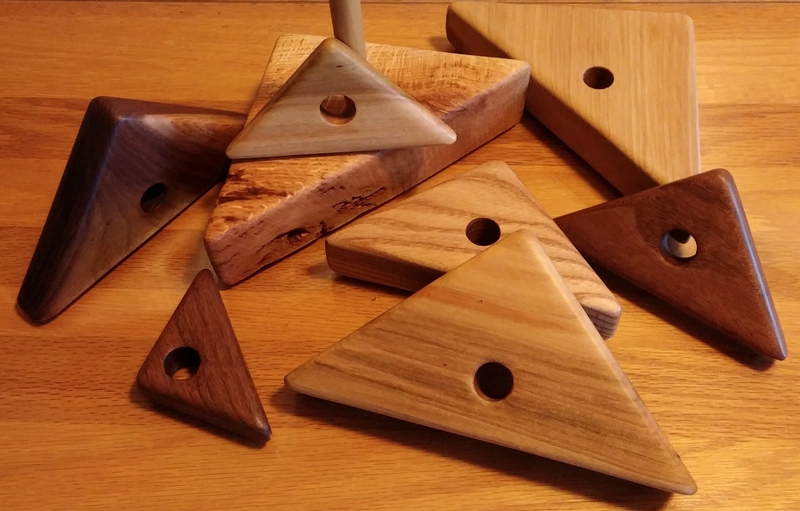 Include multiple types of wood and can be made in either square or triangle shapes. Pictured here is the triangle tower. 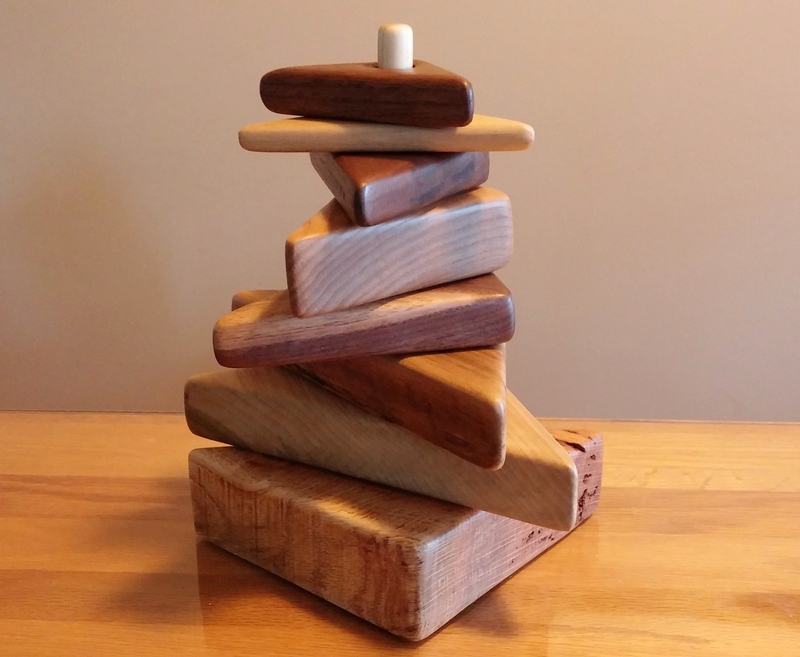 This tower includes 7 pieces and a base. Great for infants and older children alike! Each box is different depending on the size. You can have an image carved into the lid like the one shown, or leave it plain. The box is held together with a pin or key piece, and is a puzzle that must be solved in order to find and open the secret drawer. Perfect for treasures! Best size is at least 3″ x 5″.